Taylor says she might be single until she's at least 30. Don't worry, we've got BIG plans for her over the next five years. 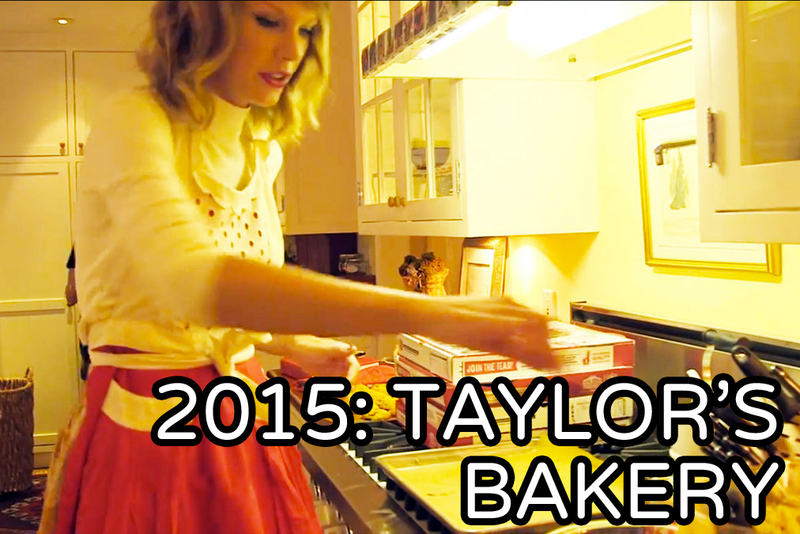 There's no denying it: The past year has been very, very good to Taylor Swift. 1989 has smashed a lot of records, Tay is taking home Grammys and BRITs abound, and she has made a lot of cool new lady-friends to hang out with. Not only that, she proved to young girls everywhere - and the world - that life can be great without needing a significant other to complete you. But that doesn't mean Tay hasn't had relationships on her mind. In a recent interview with the Telegraph, Taylor mentions that she believes she'll still be single in five years' time. "No one’s going to sign up for this and everything that goes with it'," she admits. "Like, 'Hi, nice to meet you, want a date? 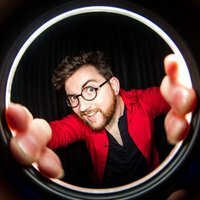 Do you love camera flashes? I hope you do!'" While we maintain that this girl is probably the world's most eligible bachelorette right now, we can still get behind five years of singledom; especially if they would be anything like the year Taylor has had. Which is why we've pieced together a five-year projection for Taylor's life, friendships and career. No pressure Tay, but we think you should follow this to the letter. After the insanity that was the release of 1989 and all the videos, awards and touring that came with it, Taylor will spend the second half of 2015 taking a much-deserved rest, where she'll chill out with her friends in New York and bake them cookies. But because working is in her nature, Tay keeps herself busy by sharing her baking recipes with her Tumblr followers; which inevitably causes her to team up with Jamie Oliver to release a New York-style recipe book. The pair go on to open up a small artisan bakery in the Village, called TayCakes. The line to get in spans six blocks. Determined to eradicate the stigma behind the "crazy cat lady", Tay adopts a third Scottish fold named Claire Underwood (We assume Taylor will have gotten into House Of Cards by this point). Meanwhile, her latest studio album, co-produced by Kanye West and featuring Lorde, HAIM, Selena Gomez and like half a dozen others, will be a full-on dance-pop monster-record that outsells everything she has ever released, combined. The Country & Western community will officially announce her excommunication. Feeling left out upon realising that Taylor has slowly become best friends with pretty much every other woman in the music industry, nemesis Katy Perry will tentatively reach out to squash their beef. 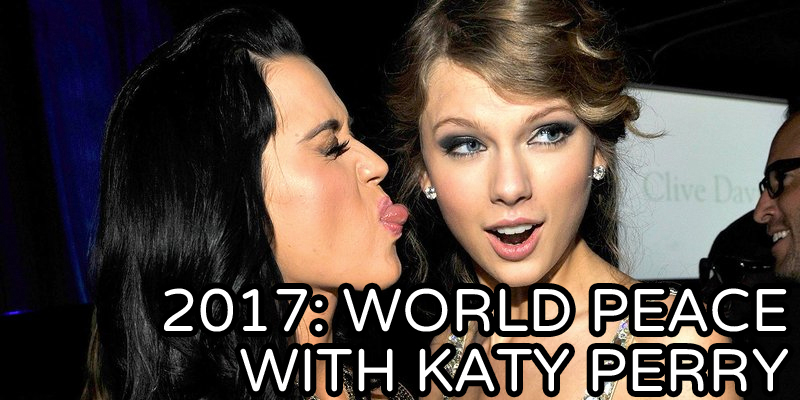 Taylor will graciously accept and invite Katy to join her all-girl world tour. The media will be stunned. Gossip blogs will immediately run out of content. World leaders will shuffle their feet and apologise to their rival countries. John Mayer will cry in his sleep. Tay isn't the only one with a five-year plan. Comic giant Marvel has all the titles of their Cinematic Universe planned out until 2020, with the much-anticipated female-led Captain Marvel coming out in November 2018. After a decade and a half of a successful music career, Tay will want to take her first real foray into acting. 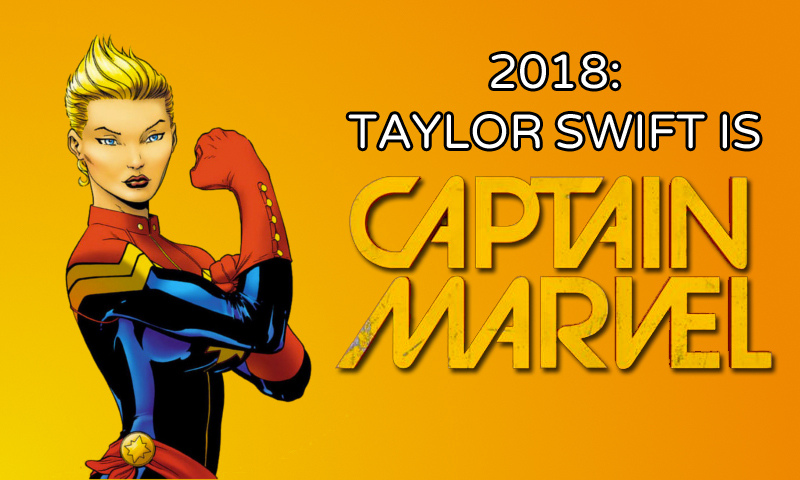 And at 28, she'll be a perfect age to fill the boots of U.S. Air Force member Carol Danvers, better known as the cosmic-powered crusader Captain Marvel. By 2019, Ed Sheeran will probably be a dad. He just has that look about him. Determined to imprint the role of Cool Aunt Taylor on the baby as early as possible, and in need of a change of scenery, Tay will relinquish her role as mayor of New York, pack her bags and her four cats (the new one's called Piper Chapman) and head for London. She will spend weeks on end locked in the Abbey Road Studios with the London Philharmonic Orchestra, working simultaneously on her next album and an orchestral remastering of her greatest hits. Alright, so maybe some of our ambitions/headcanons got a little carried away. But it's fun to dream. No matter what Tay gets up to in the next five years, we're certain she's going to blow us away.